Danielle Cross’ determination and consistency have paid off. She has lost more than 100 pounds since the birth of her youngest child. For some women, losing their “baby” weight after giving birth is easy. They get back into their routine and the pounds drop. It wasn’t that simple for Danielle Cross, a nurse at Akron Children’s Hospital Pediatrics in Ravenna, however. Raising 3 boys and working full time left Danielle with little time for herself. After her youngest child was born in April 2016, Danielle was about 100 pounds overweight. She tried to lose weight on her own but it was slow going. For someone like Danielle, for whom weight had never really been an issue, the excess pounds zapped her energy and caused her to feel unhappy with herself. She decided to combine an exercise and healthy eating plan and make her health a priority. Both plans also needed to be accessible and fit with her busy lifestyle. Danielle bought a treadmill in February 2017, and also joined Akron Children’s Weight Watchers at work program, choosing the online option. The hospital’s wellness department oversees the Weight Watchers program, which is offered at a discounted rate to employees. She used Weight Watchers and a couch-to-5K app to stay accountable and on track. Danielle makes fitness fun with her mom and husband. Danielle’s mom and extended family provided encouragement, too. Her mom, an avid runner, suggested they run some 5K races together. Other family members, including Danielle’s husband, joined Fitbit challenges and challenged Danielle to compete against them to get the most daily steps. 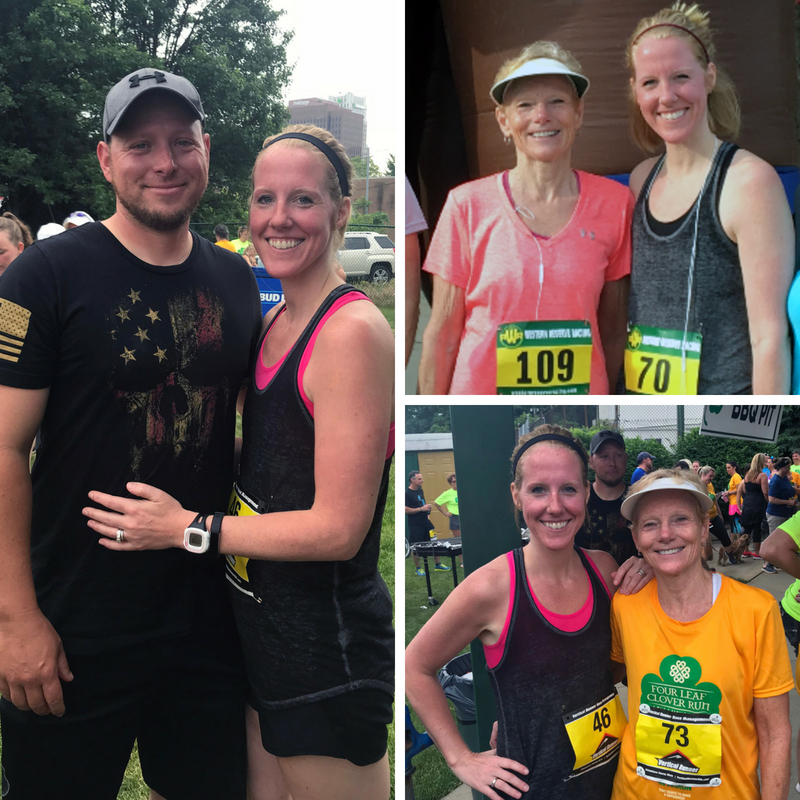 In addition to running in 5K races and step challenges, Danielle recently participated in her first 10K race as part of the Akron Children’s Hospital Akron Marathon Race Series. She is also running her first half marathon in the FirstEnergy Akron Marathon, Half Marathon & Team Relay on Sept. 29. Years ago, before children, Danielle ran in several 5K races. She didn’t train, ran the event and felt sore for days. She’s a lot more serious about training these days. In fact, she even added cross training to her routine and works out a few days a week with weights. 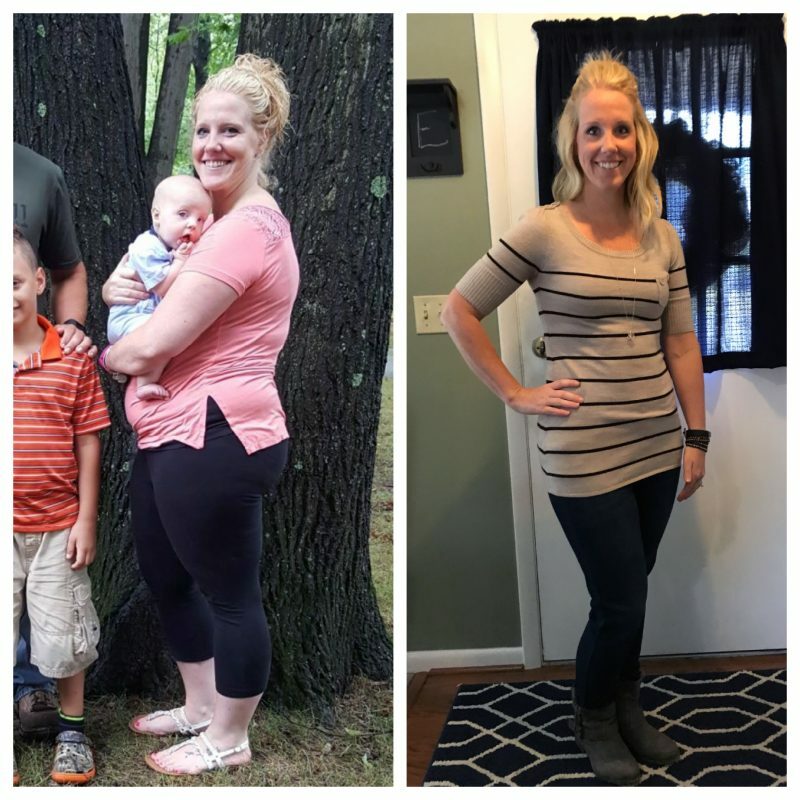 Danielle’s determination and consistency have paid off. Since February 2017, Danielle has lost more than 50 pounds, and is now down by more than 100 pounds from what she weighed 2 years ago. Interested in running, volunteering or cheering on the participants in the 2018 Akron Children’s Hospital Akron Marathon Race Series? Visit akronmarathon.org. Read other inspiring stories about runners here.